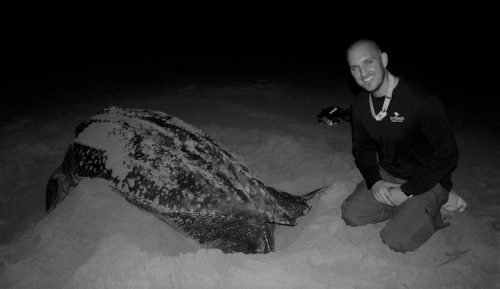 Justin Perrault completed a postdoctoral research fellowship with Mote Marine Laboratory where he managed their Sea Turtle Conservation and Research Program Nighttime Tagging Program. The Florida Museum and the UF Thompson Earth Systems Institute invite you to grab a local brew and learn how scientists have been saving sea turtles in the midst of last year’s lingering red tide at the next Science on Tap event. 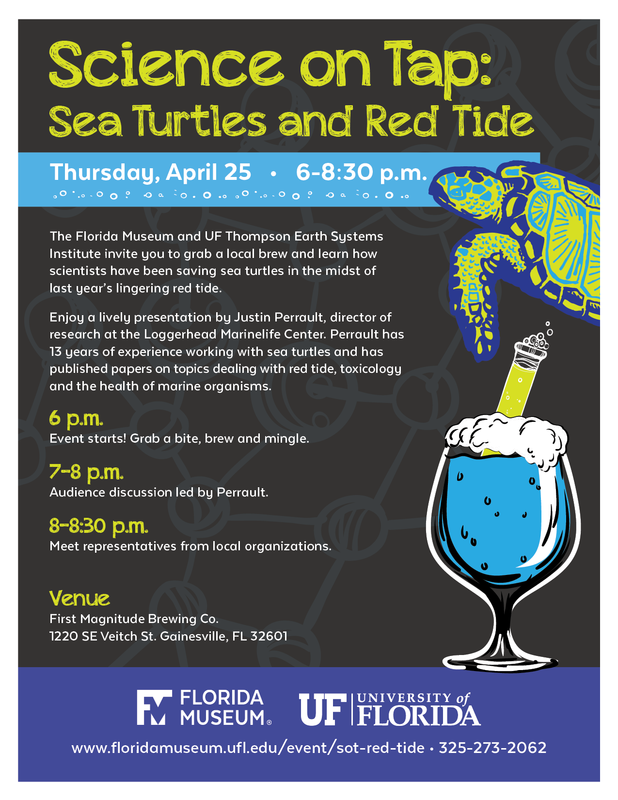 The free event titled “Science on Tap: Sea Turtles and Red Tide,” takes place Thursday, April 25 from 6 to 8:30 p.m. at First Magnitude Brewing Co. located at 1220 SE Veitch St. in Gainesville. Attendees will join a discussion led by Justin Perrault, director of research at Loggerhead Marinelife Center. Perrault has 13 years of experience working with sea turtles and has published 25 papers on a wide variety of topics dealing with red tide, toxicology, and marine organismal health. Event starts. Grab a bite and a brew and mingle with faculty and staff from the Florida Museum and the UF Thompson Earth Systems Institute. Audience discussion led by Perrault. Experience science with representatives from local organizations.